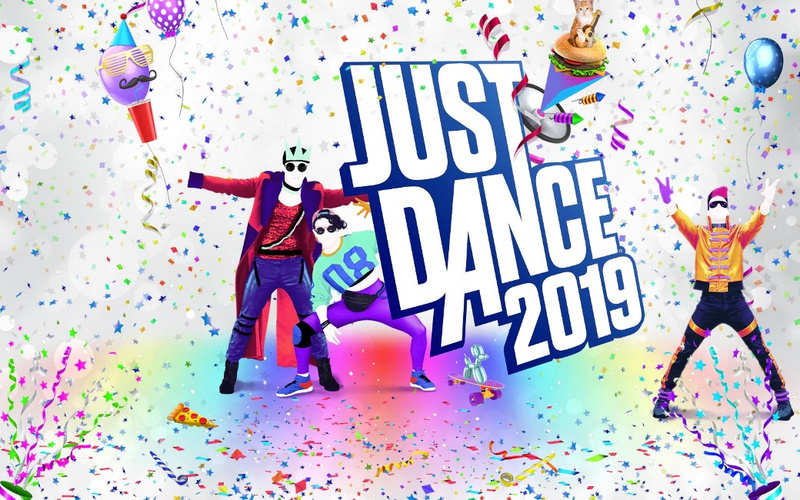 It may well be the one announcement you can always rely on from Ubisoft's E3 conferences, but we're happy to bring confirmation that Just Dance 2019 has been confirmed for Nintendo Switch, Wii U and Wii. Last year's edition also released for all three consoles, so we're not surprised to see it spread across the platforms, but there's still a part of us that is amazed the Wii is still going so strongly. Just Dance 2019 will launch across all platforms on 23rd October. Will you be getting your groove on again later this year? lol. I'm only surprised that there's a Wii U version. Especially when you consider the Wii U can play Wii games. Is that it? Because if that’s it, then it’s a pretty pathetic situation. @Iggy-Koopa The conference isn't over yet! Trials has been revealed too. That's the Wii U's entire E3 right there folks. The reveal for this was up there with the Pink Elephants On Parade sequence from Dumbo. @Inkling That’s pretty pathetic too. Love getting these every year. Always fun with family during the holidays! Was looking forward to the Wii U edition for quite some years now. E3 of tomorrow news: Ubersoft Just Dance 2091 confirmed for Disney RealityStation 7, Applesoft XiBot 360, Nintendo HologramBoy Advance, Nintendo GameCylinder... and Nintendo Wii. Corporate States of America release date: Fall '91. Why not put Starlink and that motorcycle game on there as well? LOL!... this is why I never watch these things. The disappointment is always easier when reading a 2 min list online than watching a 40 min presentation. @Iggy-Koopa Fox and co. are showing up in Starlink. Dust off those Wii Minis! A part of me wants to buy them on Wii and Wii U for the sheer novelty at this point. It just isn't a Ubisoft conference without some weird dancing things and a 2018 Wii game, is it? The Wii release isn’t surprising when you consider it sold the second most copies on the system. The Wii U surprised me, just wish there was more than that and the eventual Shovel Knight add-on left in the tank. @Anti-Matter And everyone said the Wii was dead! And the Wii U, too! No consoles ever die. They just go to retirement homes and game publishers eventually stop visiting them. @Agramonte It was 90 minutes, you made the right decision. The only real question is which version stops first, Wii or Wii U? 2018 and a new Wii game is dropping. I would have never thought. Gotta buy it for the Wii just for the heck of it. It's so crazy I just can't resist. Seriously though, I'm curious how long they'll keep it going. Just Dance 2049 for the Wii? @rjejr holy crap - 90min?!... I would have gotten fired - and for what? I was told the Uplay download site went down when people showed up for free stuff. @Agramonte Yeah something was free on Uplay but I kind of glazed over after awhile, I can't even tell you what it was. BG&E2 is still a thing, but nobody seems to be talking about that. I'm surprised there hasn't been an NL article yet - "Will BG&E2 Be Coming to the Switch?" Yay for keeping the Wii alive. Question, can you play just dance on Xbox with no Kinect, and how do you play on PlayStation, with the vr controllers? Unless there is a motherload of reveals in the Direct today, then 3rd party on Switch may as well be dead. 100 million systems sold, many now belonging to young people that where under 5 when the system launched. For a certain crowd, Just Dance is to Wii what FIFA was to PS2. ... I am amazed that Nintendo still manufactures new Wii discs. I wonder if they are just relying on "new old stock"? To ship to Ubisoft. I am also amazed because I haven't seen new Wii games on a store shelf in years! Are these the kind of games they sell at Bed Bath and Beyond and clothing stores? 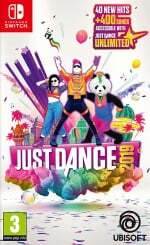 @Heavyarms55 Not that I'm a Just Dance fan, but I checked the Target where I live, and sure enough, they had JD 2018 for the Wii in stock. It's a crazy world. @TheFox Wow. Still wonder if they actually manufacture new discs still of if it is leftover stock of blank discs. @TheFox You wanna hear something even more amazing? My local Walmart still carries both Just Dance 2018 and 2017 on Wii, as well as other Wii games like Let's Sing 2018 and Skylanders Superchargers​ Racing. What I love is that they have more Wii games in stock than Wii U titles. Like aside from Skylanders Superchargers the only other Wii U game as of late I've been able to find there over the past few months is Paper Mario: Color Splash. Also worth mentioning is that they have a lot more 3ds games in stock compared to Switch titles but that's not surprising considering that Switch games are more expensive than games on 3ds. @NintendoFam99 I would love if a new Wii game came out that actually looked cool. I'd buy it. You never know, THQ Nordic might go dumpster diving through another developer's trash (again), find an unreleased Wii game, and next thing you know, "Cursed Mountain 2 for Wii!" But since you mentioned it, I have Superchargers Racing for the Wii. If you already have the REAL Superchargers game, it's kind of a cool karting game that lets you get some extra mileage out of the figures you already own. @TheFox I would love that as well. I still buy Wii games btw. I got my Wii for Christmas 2011 and all throughout the Wii U's lifecycle I kept on buying Wii games and never got a Wii U. Even after the release of the Switch I've gotten quite a few Wii games as of late, most recently EA Sports Active. There are still Wii games I would like to get that I haven't such as The Legend of Zelda Skyward Sword, The Legend of Zelda Twilight Princess, Wii Sports and Just Dance. Yeah, after all these years I never did get Wii Sports for my Wii as when I got my system it came bundled with New Super Mario Bros Wii and the Super Mario Galaxy Soundtrack. As for Just Dance, I've never gotten a Just Dance game but I'm trying to get into the series so I'm gonna get some of the newer games like JD17,JD18, and JD19 on Wii.